Today is an era of the millennials. The young generation of mankind nowadays are taking the world in their hands in various fields –be it corporate, entrepreneurship, medical, engineering, and so more. As advanced this youthful group is, so are their aspirations. Bangalore is the Silicon Valley of India. With a big hub of the IT giants and leading companies, this city also takes pride in welcoming thousands of young aspirants and professionals each year into its premises. The fresh group of professionals comes to Bangalore in search of a good job and of course, plush accommodation. For those looking out for a good living option in this mega city, then Mittal Elanza has some of the most luxurious apartment solutions in the major locations of Bangalore. From lavish apartments in North Bangalore to many more options, look out for some of the best amenities offered by Mittal Elanza. Micro Living: The youthful generation of today’s era is looking for smart living in small spaces. As the nuclear family concept is on the rise, the fresh homebuyers are in search for micro living that can help them save both space and overall cost. Therefore, the apartment industry is booming with residential projects to satiate the need for small apartments with high-end amenities. Mittal Elanza is offering a wide range of 2 & 3 BHK apartments in Yelahnka and other regions to expedite your search for a micro living standard. The micro apartments are carefully constructed by keeping in mind all the essential aspects of the individuals it is meant for. The most impressive thing about these living units is that they pack into a tiny space admittedly and within budget. Micro living doesn’t imply you living without any amenities. In fact, it includes all the living essentials with a smart touch to it. Green Living: This is another important aspect that the modern home seekers look for in any apartment. Bangalore is a busy place with lesser open spaces. As the home dwellers find it difficult to connect with nature on their own, the leading apartment building projects like Mittal Elanza are bringing nature direct to their homes. With plush apartments in North Bangalore offering ample spaces for growing plants and infusing some green touch in one’s home, the gated communities are experiencing a rise on the greener front as well. The residential groups are looking for extra green compounds including jogging parks, swimming pools, and so more. In addition to the introduction of natural aspects like lots of trees and plants around, the modern apartments are also offering greener options of living in terms of saving energy resources. The introduction of energy-saving features like solar lights in the compound and so more also impart a greener feel to the modern apartments. Smart Living: This is the latest entry into the list of the recent trends in apartment living. With such a busy life schedule, the home dwellers find it increasingly difficult to pay attention to several aspects of their home. As such the introduction of smart home appliances can play a major role in simplifying their life. On top of it, smart living also invites enhanced security through the use of smart security devices like camera-empowered entry, automatic fire alarms, and so more. The high-tech apartments near Manyata Park in Bangalore by Mittal Elanza offer a myriad of such advanced applications of technology for the ease of living. If you are looking for a completely automated home environment, then consider some of the most luxurious and high-tech apartment options by Mittal Elanza. Amped-Up Amenities: The high-end apartment living standards are not just for the human beings. The modern home dwellers love keeping pets in their home. Therefore, the real estate apartment projects have to consider this aspect as well. Some of the amped-up amenities that the home seekers are nowadays looking for include some pet-pampering features like pet day care, veterinary care & training, grooming facilities and so more. You could spot lavish apartments near Hebbal and other regions in Bangalore offered by Mittal Elanaza that aim to satiate all your specific requirements. With almost all facilities and amenities within the premises of the apartment compounds, you do not have the need to go anywhere else. Unique Features: Every real estate builder is known for offering some eye-catchy residential features to attract the home seekers. To push the boundaries of the great fusion between the natural and urban worlds, the highly qualified professionals of Mittal Elanza have incorporated some of the unique features into the designing of ultra-modern apartments in Yelahnka. From fully-equipped gymnasiums to rooftop infinity pools, the architecture trends of the modern living is advancing day by day. Some additional features in the form of amenities include the presence of shopping malls, hospitals & medical care centers, entertainment centers, IT parks, educational institutions, and so more within the compounds of the gated communities. Soaring Structures: Due to the lack of the available ground space, the modern apartments are nowadays spanning the skies. If you have dreamt of living in the clouds, then make this a reality by going for some multi-storey apartments in Bangalore by Mittal Elanza. The luxury multi-storey apartments here are known for their spectacular panoramic views from your window or balcony area. In a modern city like Bangalore that is known for its iconic structures, Mittal Elanza is heating up the apartment industry with its excellent, budget-friendly residential projects. Are you looking to buy flats in Bangalore? Look out for some modern trends that are dominating the residential projects in Bangalore. 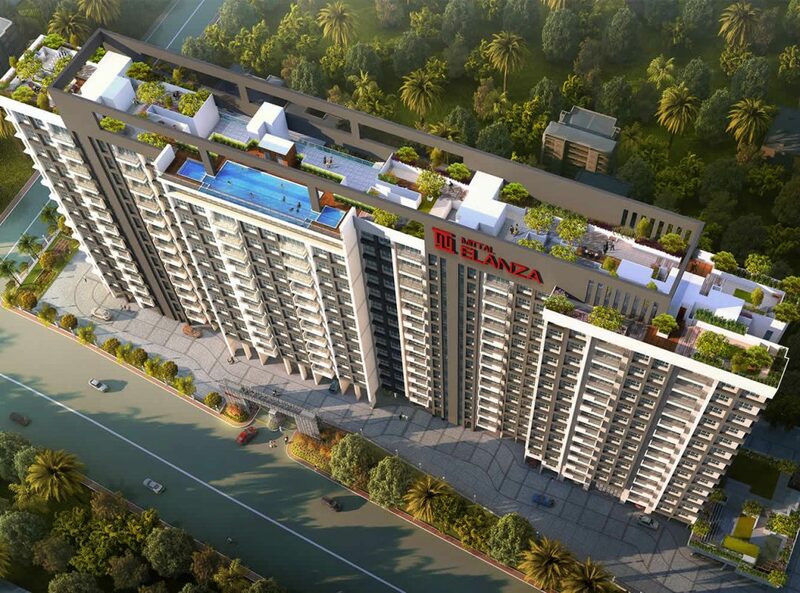 Browse through the attractive range of trendiest apartments in Bangalore by Mittal Elanza and make the wisest choice!